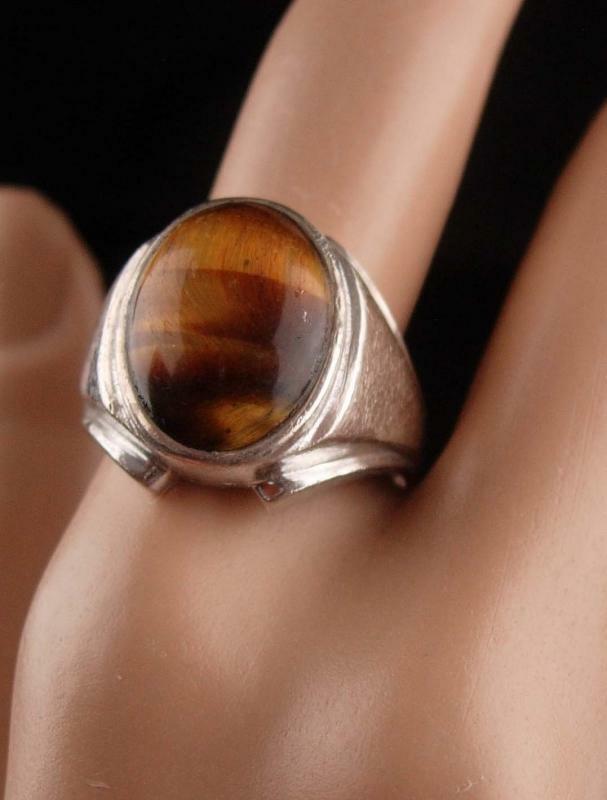 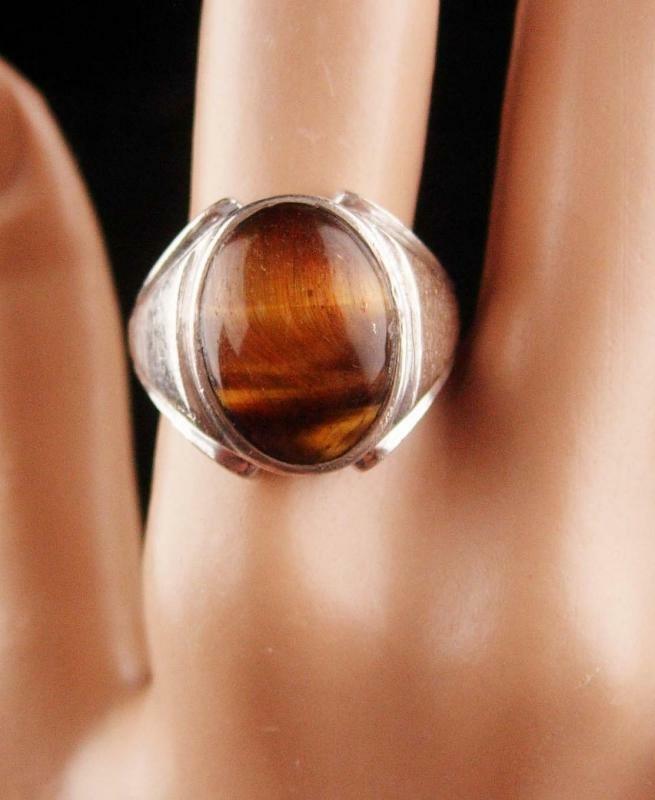 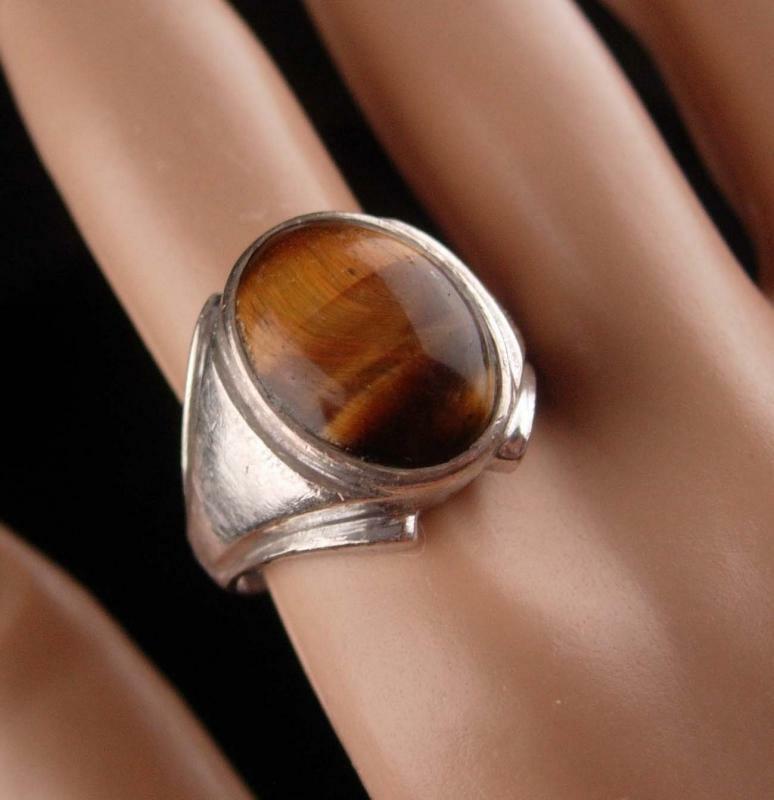 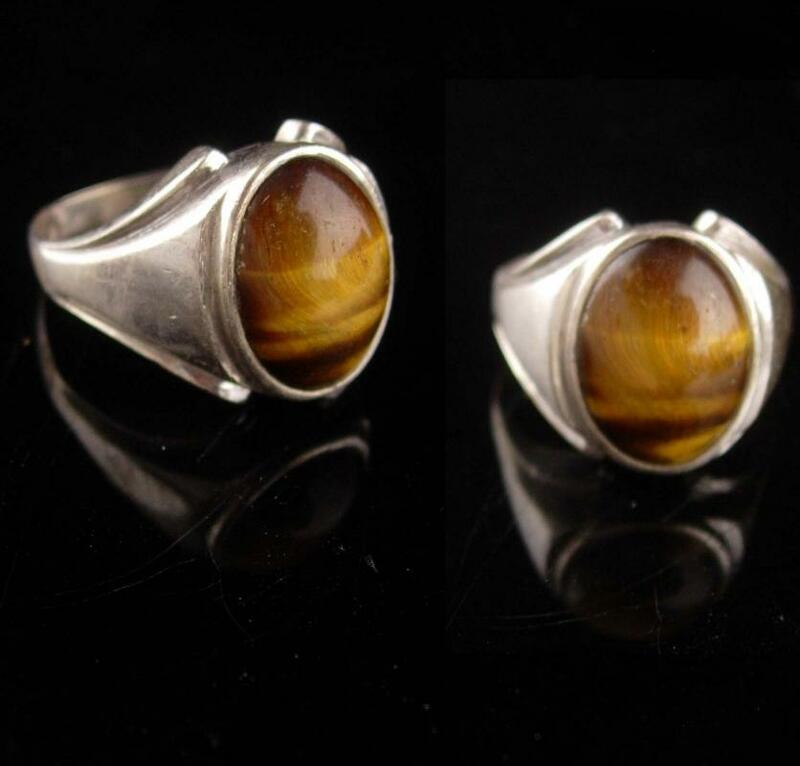 Tiger Eye lets you see everything. 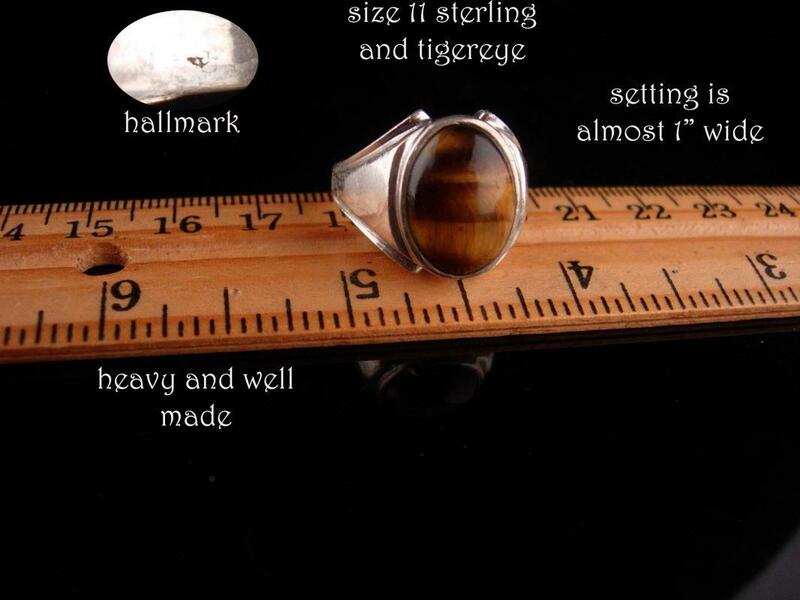 Use it for insight and you can be a very lucky person. 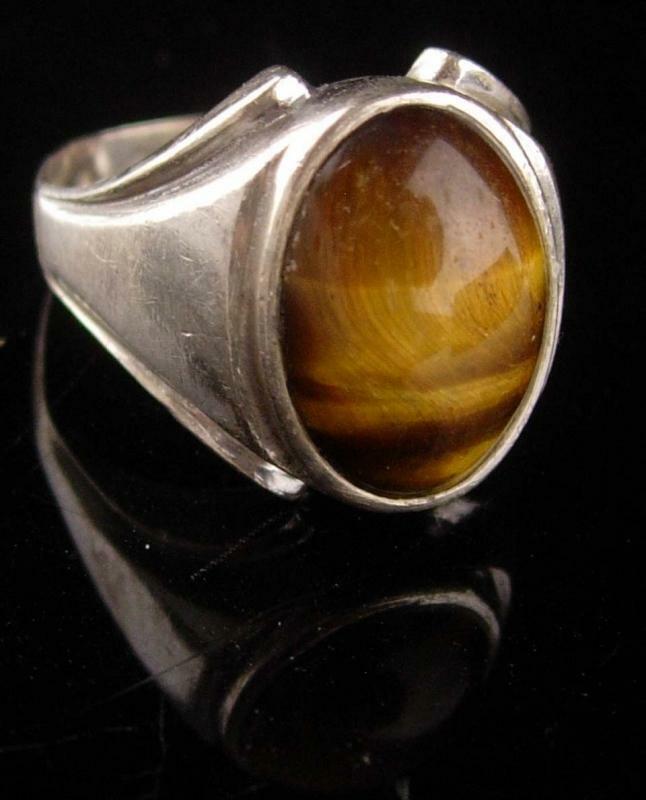 This heavy and well made ring would look awesome on your facorite gent.